Debt evades the necessity of distinguishing wants and desires from real “needs”. Try making an “I Want” list. The “I Want” list has two rules. First, not more than five items are allowed on the list at one time. Second, you have to wait thirty days after the item is entered on the list before it can be purchased. You will be amazed how many “wants” and “desires” fade over the thirty days and the amount of impulse buying that is eliminated. This simple idea may help to transform you (your business) from a chronic impulse buyer into a much better steward of His assets. Debt encourages impulse buying and overspending. The Chief Financial Officer of a national credit card company said that consumers will spend 27% more on plastic than they would with cash or check. Any merchant who accepts plastic will verify that consumers will spend 25% to 30% more with plastic. That is why businesses pay a fee of 1% to 7% of every purchase you make on plastic for the privilege of accepting your credit cards. For your business, consider the potential effects of entertainment and travel costs. Debt and credit cards stifle creativity and resourcefulness. If we want something today, we charge it rather than “make do” with what we have. We feel entitled to what we want, when we want it, so we automatically head to the mall, never considering a simpler, less expensive choice: “doing without”. It is not fashionable today to resole our shoes, repair our cars, or mend whatever wears out; we simply replace them. For your business, consider the potential impact of maintaining the equipment you already have (without sacrificing safety) or using what you currently have in a new way to accomplish the task instead of buying something new. 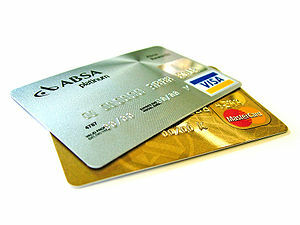 Debt and credit cards eliminate margin in our lives (our businesses). Plastic becomes our margin. Rather than planning what we need and allowing a margin for errors or overruns, we “charge” ahead and spend, thinking that if we must write a check that we don’t have sufficient funds to cover, we have overdraft protection with our credit line. Your credit card (or line of credit) is not an asset but a potential future liability which becomes a liability when you use it. Debt teaches your children bad habits. Your children will have a casual regard for using credit cards, obtaining car loans, and applying for student loans. Review the first five items from yesterday as you consider these. Consider the negative (or potential negative) effects debt may or does have on your business. I encourage you to develop a solid business plan to eliminate your current debt and to prepare to operate without borrowing in the future. Avoiding debt is essential for business prosperity. If you would like to discuss more about avoiding business debt or how you can transform your business using the Bible as your guide, email me at info@commonsensecfo.com. Debt presumes on the future. Scripture clearly says, “Do not boast about tomorrow, for you do not know what a day may bring forth” (Proverbs 27:1 NASB). When you commit yourself to payments over time, you are presuming: no pay reductions (i.e. no loss of customers/clients), no loss of job (i.e. you’ll be able to keep your doors open), and no unexpected expenses. That is a dangerous and improbable assumption. Debt lowers your standard of living in the future. Money that you borrow today must be repaid over time along with the cost of renting the money (interest). From a business perspective, think of it as an increase in opportunity cost – what opportunities does your business lose out on because of the repayment and interest? Debt avoids life-style decisions. It allows you to make the decision of whether you can afford to buy an item by focusing on the low payment rather than on the cost of the item. The question of whether you can afford it should include all the cost: purchase price, operational expenses, and finance charges. Credit is dangerous because it is too easy to say yes to low payments over time and ignore the real decision – can I (my business) afford it, and do I (does my business) need it? 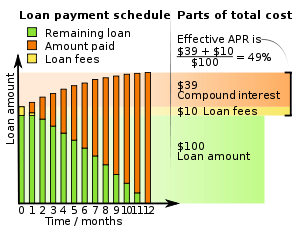 Debt places the awesome power of compound interest at work against you. Here is an example for credit card debt. If you borrow $100 on your credit card and make only minimum payments, it will take up to 30 years to repay the loan. Items charged on your MasterCard (or items purchased for your business via term debt) can cost you double, triple (or more) the purchase price! Debt may delay God’s plan for your life (for your business). Or it might cause you to forfeit a blessing God had planned to give. Before you obligate yourself (or your business) to payments, give God a chance to provide your needs. I’ll post the next five tomorrow. The key to the success of any organization is found in two key elements: the leadership and the people. Leaders must show the way, provide the resources to reach the the goal, and provide accountability. Your attitudes and outlook as a leader and toward your people will frame every policy decision you make. I Kings 12:1-19 marks the beginning of the reign of Rehoboam as king of the united twelve tribes of Israel. However, the kingdom was divided and a long-term rebellion against the house of David was instigated, even before the confetti was cleaned up from his inaugural ball. 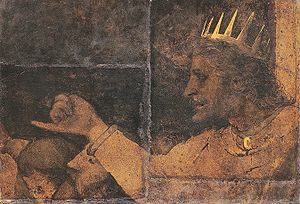 Rehoboam had the benefit of the counsel of elders who had served the wisest man to ever have lived – King Solomon, his father. They had watched for forty years as God had rendered wise judgments to His chosen people through this great king. But when the people came before the new young king with a pledge to serve him, Rehoboam forsakes the counsel of the elders for the fast friendships of his peers. Rehoboam clearly lacked wisdom which Proverbs 1:7 says comes from the fear of the Lord. Ironically, this Proverb was written by Rehoboam’s father during his lifetime. Rehoboam had not learned the lesson that King Solomon knew so well: the key to effective leadership is humility. Solomon was willing to be known for who he was: a flawed man called to fill a role by God. Solomon knew that he had no power within his person great enough to accomplish the awesome responsibility of governing Israel. He humbled himself before the God he feared and the people he served. 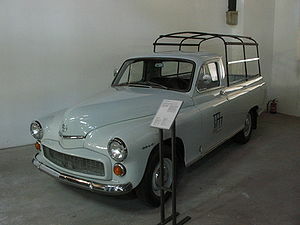 The result was Israel’s golden age. Business owner/manager, if you want to lead your company, then humble yourself before your God and be willing to be known for who you are among your fellow men. It is God’s formula to make servants out of leaders. Being a servant leader is essential for business prosperity. If you would like to discuss more about becoming a servant leader, or how a part-time, virtual CFO can help transform your business using the Bible as our guide, email me at info@commonsensecfo.com or call Kirk at 402-658-7340. Are you having problems managing your business’s cash flow? Short of borrowing money, which I do not recommend, what can you do to improve your company’s cash position? Here’s some suggestions. You can regain control of your financial situation by examining several areas of your business. The first area to look at is purchasing. You can conserve cash by buying smaller quantities of supplies more frequently instead of buying them all at once. The best time to buy in bulk is if a significant discount is offered. And when it comes to payment, negotiate with your vendors to get the best possible terms. You should pay early if offered a price break for prompt payment; otherwise, bills should be paid on time. You can put the same concept to work with your customers by offering a discount for paying invoices early. If a payment is late, though, consider charging an extra percentage on the invoice. Billing customers immediately after your company ships merchandise may help speed up cash receipts. Also, any customers who regularly make late payments should be switched to COD. Another area to look at is inventory. You should attempt to return slow-moving inventory or mark it down so that it will sell. You can avoid overstocking new purchases by carefully planning the quantities that need to be kept on hand. A review of operating expenses can help you find ways to cut costs on overhead items, such as insurance and telephone and Internet service. To reduce taxes, consider making any equipment purchases before year-end if your business will be able to write off the cost on the current year’s tax return. Good cash management is essential to business prosperity. 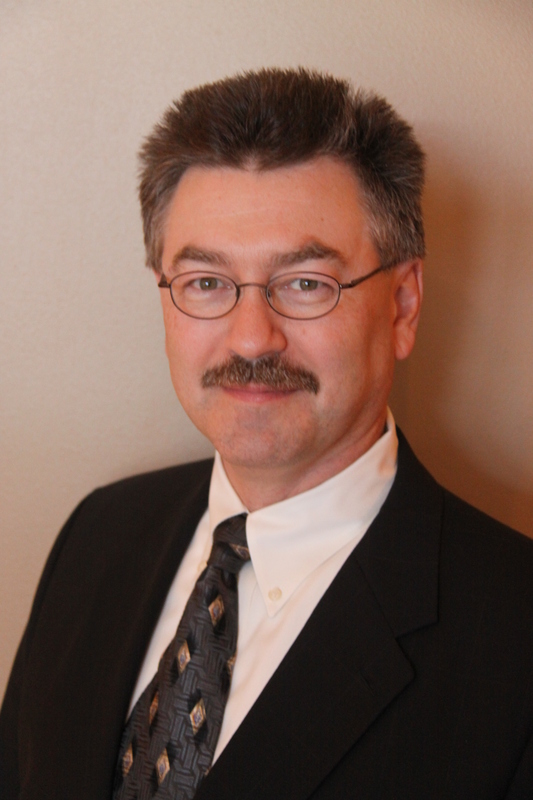 If you would like to learn more about developing or improving your financial management system or discussing how the CommonSense System of financial management can improve your cash management, email me at info@commonsensecfo.com or call Kirk at 402-658-7340.
Business trips, vacations, illness or injury, family issues. There are many reasons you might be absent from your business. Whatever the reason, having an operations manual will provide vital information and step-by-step guidance so business can continue without interruption. If you don’t have one, you should. Begin your operations manual with your mission statement or a brief description of your goals and values. List the products and services you offer. Depending on how large your company is, you may want to create an organizational chart with titles, job descriptions, and employee names. Include complete contact information for key employees, vendors, clients, insurance companies, security, and IT support staff. To be effective, your operations manual should have step-by-step documentation (best practices) for all business procedures, from unlocking the doors in the morning, to running reports, processing checks, recording sales, and turning the lights off at night. Spell out important policies, especially those applying to such matters as discounts, returns, refunds, and the like. Once your manual is written, all the details pertinent to running your business will be in one place. Make cross-training your employees a priority. Plan to review and update your manual regularly. Not only will you be able to be absent from your business, it will also help your business run more smoothly and improve profitability. Maintaining a complete and current operations manual is essential for business prosperity. If you would like to learn more about preparing and maintaining an operations manual, or if want to learn how a part-time, virtual CFO can help transform your business using the Bible as our guide, email me at info@commonsensecfo.com or call Kirk at 402-658-7340. Does your business have a financial management system? 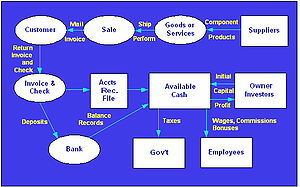 Your accounting software by itself is not a financial management system. An accounting software package is necessary for producing accurate, timely financial statements – but is just a piece of the total financial management system, albeit an important piece. A good financial management system will incorporate the financial statements generated by your accounting software package along with appropriate cash flow forecasting, important performance metrics (trends, ratios, comparisons, break-even, etc. ), and updated financial projections to provide you and your executive team timely information so that the decision-makers may react quickly to the current reality. Having a solid, effective financial management system is essential for business prosperity. If you would like to learn more about developing a financial management system or discussing how the CommonSense System of financial management can improve your decision making and prosperity, email me at info@commonsensecfo.com or call Kirk at 402-658-7340. I recently read a post on the Frugal Dad blog entitled, “Borrowing Money is the Same as Buying Risk”. Though the blog is all about the journey of getting out of personal debt and living on less than you make, I believe the topic is just as true for business. Jesus spoke similarly in Luke 12:16-21 regarding the rich man who tore down his barns and built bigger ones to store all his grain. In verse 20, God said to him, ‘You fool! This very night your soul is required of you; and now who will own what you have prepared?’. (NASB) Though this parable is often associated with Jesus’ teaching about greed, it also presents the point that we do not know what tomorrow will bring. If the rich man (business man) was borrowing to fund the building of his bigger barns (warehouse, office building, delivery vehicle, copier machine, etc. ), and his soul were required of him before it was paid for, who will own what he has prepared? Drawing the cash out of your emergency fund to make the purchase may drop the level of cash reserve to an uncomfortable level, thus increasing the risk of not being able to weather a slow period or crisis. If you’ve ever stayed awake at night wondering how you’re going to pay your bills, that’s stress you just don’t want to go through again. So what’s the best option? The Frugal Dad gets it right – Do Nothing! Wait. Save up cash above and beyond your minimum cash reserves and pay cash for your purchase. If you need a new truck or piece of equipment because your current one is beyond repair, find a used one (that will get you by) for a lot lower price, pay cash, and move up later. It’s best to keep saving until you have enough to pay cash without touching your necessary cash reserves. You’ll also be able to get a better deal. Even if you don’t have savings and a situation arises, consider all options and the potential risk involved. Check out short-term leasing options, auctions, or bartering to name a few. Just as increasing risk is not good for your personal finances, it is also harmful for your business. Decreasing risk by eliminating interest charges is essential for business prosperity. If you would like to know more about reducing risk in your business, or if you want to learn how a part-time, virtual CFO can help transform your business by using the Bible as our guide, email me at info@commonsensecfo.com or call Kirk at 402-658-7340. Today’s economic environment is certainly not a favorable one. Many believe that we have some potentially catastrophic financial problems facing us. Consider what an increase in interest rates of a few percentage points would do. The federal government is the catalyst behind most of our current debt. 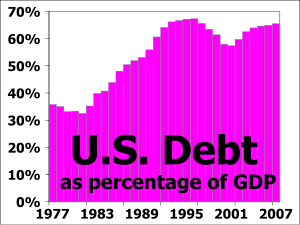 The U.S. Government currently owes in excess of $13 trillion (and growing by the minute). Most Americans today work until mid-May (adjusted for the Federal Budget Deficit) each year just to pay their taxes. In spite of taking in more than $2 trillion a year in tax receipts, the government is currently borrowing another $1+ trillion! He also warned that if His statutes and commandments were ignored, the foreigner would become the lender and they would become debtors. That is exactly where our nation is today! More than $4 trillion of our total debt is now held by foreign lenders (in excess of 30% of our total debt). Committing to, and following God’s statutes and commandments without compromise is essential for business prosperity. If you would like to know more about using God’s Word as your business manual, email me at info@commonsensecfo.com or call Kirk at 402-658-7340. That’s how Larry Burkett describes managing a business based on biblical principles. The Bible’s focus is more concerned with eternity than with profits where as most business schools focus on the bottom line. 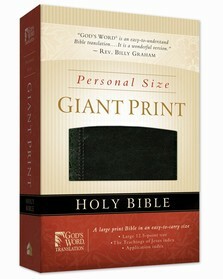 In America the use of the Bible as a business text actually goes back hundreds of years. Business principles differed then too. Honesty, ethics, and moral values were taught in the classrooms of all major business schools. Professors placed strong emphasis on a company’s responsibility toward its employees, customers, and creditors. Prior to the twentieth century, business courses, and business schools themselves, were based on biblical principles. In reality, they were biblical schools that were training future business leaders. After the Civil War, the federal government assumed a stronger position in the private sector. After World War I, unions gained political power. Prior to the Great Depression, we had been an equity-funded nation. But that time caused a general lack of confidence in the stock market and after World War II, debt surpassed equity in business. Most companies found it cheaper and easier to borrow money than to raise it through equity funding. This debt funding has continued through today. As Larry points out, the one principle that vividly stands out is that God’s people should be debt-free. Too much debt makes the business vulnerable to interest rate swings. According to one statistic, 60 percent of all American businesses are potentially unprofitable once the interest rates reach 15 percent. I have a feeling that threshold may have lowered since that study was completed. Our lack of fiscal discipline and our obsession with quick profits make U.S. Industry vulnerable. Do the biblical principles of business work? Yes, without question – over the long run. If you’re looking just for quick profits, don’t choose God’s way. However, if you desire long-term growth and stability, God’s way is the only way. Business God’s way is essential for long-term growth and stability. If you would like to learn more about running your business God’s way, email me at info@commonsensecfo.com or call Kirk at 402-658-7340. 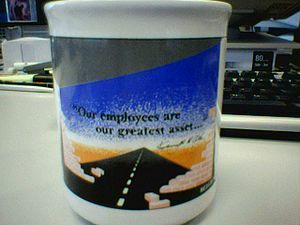 Are you investing in your employees? I’m not talking about how much you are paying them, although paying them properly is extremely important. I’m talking about investing time and resources into one of your most valuable assets. Investing in your employees may seem time consuming and expensive on the front end, but will pay dividends in productivity. Tools. Investing in tools may involve purchasing the latest technology, whether it is a piece of manufacturing equipment or the latest computer technology. It may involve making sure your equipment is promptly and appropriately maintained. Training. Investments in training typically involve teaching your employee the latest techniques related to their position or the use of equipment to do their job. I believe that an investment in training should also involve improving the individual. This may take the form of a personal finance class (outside of work or at your facilities), a Bible study or daily devotional time. Employees of strong moral character and who possess financial peace are better, more loyal, long-term employees. Retirement. If you set aside funds for the purpose of retirement for your latter years, then an equivalent amount of money should be made available to those under your watch. In fact, most employees probably have a greater need for supplemental funds in their older years because they don’t have as much income-earning ability as their employers in their earlier years. Time. Spend time getting to know your employees. If you haven’t already, I encourage you to implement weekly reports from each employee. These reports should be turned in to their supervisor (the supervisors reports should flow up the ladder as well) and should provide an opportunity for the employee to share their highs and lows of the week (word related or not). Each of these reports should be read and followed up. This is a great way to find out if anything is affecting the employee’s work and life. Holding social gatherings, such as occasional pot-luck lunches or pizza parties, are also a great way to spend time getting to know your employees. In EntreLeadership training, Dave Ramsey recommends creating a “Team Building” account. Larry Burkett refers to this account as a Benevolence account. A portion of the company’s monthly profits would be allocated and set aside for building and strengthening your team. This Team Building account would be used to invest in your employees by helping out when your team member has financial trouble, an illness, or a death in the family. Imagine how your employee would feel if you had the funds set aside to purchase round-trip airfare for them to return home for a love-one’s funeral. Investing in your employees is essential for business prosperity. If you would like to know more about developing a Team Building account and investing in your employees, or if you want to learn how a part-time, virtual CFO can help transform your business by using the Bible as our guide, email me at info@commonsensecfo.com or call Kirk at 402-658-7340.